A photo of Lee Tae-ri's appearance on "Hospital Ship" was released. "Hospital Ship" is a medical drama about a team of doctors who get on a ship to treat villagers in an island. Lee Tae-ri stars as Ha Ji-won's 28-year-old brother Song Woo-jae. 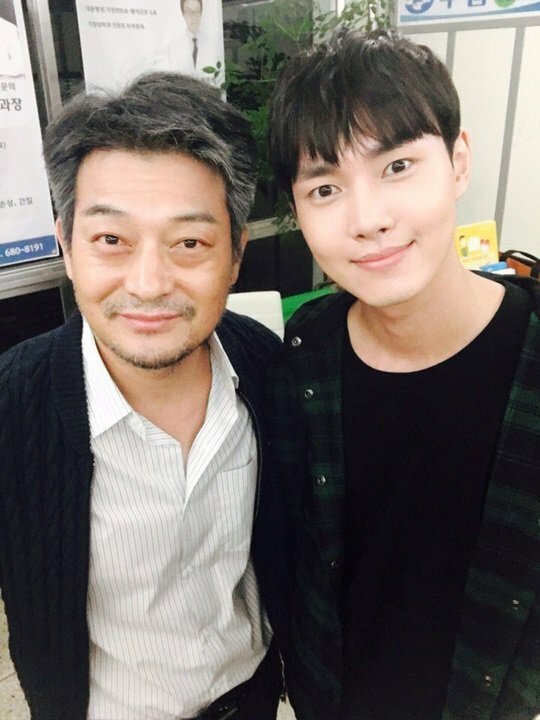 In the photo released, Jo Sung-ha and Lee Tae-ri are posing together for the picture. Jo Sung-ha is Ha Ji-won's father in "Hospital Ship". Apparently, they looked like a real family on set and Lee Tae-ri was Ha Ji-won's perfect little brother. The episode of "Hospital Ship" with first appearances by Lee Tae-ri and Jo Sung-ha is on the 27th. "Lee Tae-ri to appear in "Hospital Ship" as Ha Ji-won's brother "
Kim Jung-hyun to star in "Drama Special - Buzzcut Love"
Heo Joon-suk to star in "While You Were Sleeping - 2017"
Lee Ho-won to star in "Two Cops"